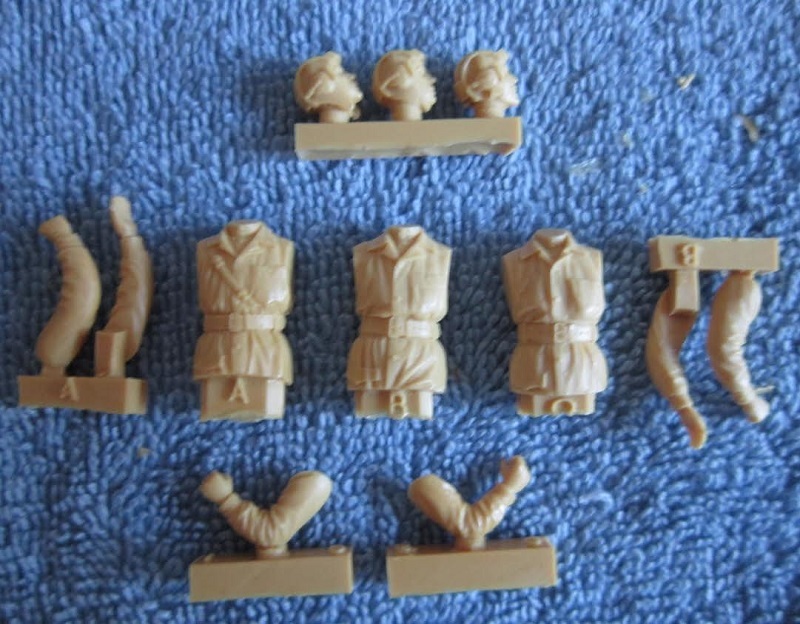 This set consists of 12 tan resin parts. The 3 figures are divided into sepoerate heads with leather tanker's helmets, torsos and arms. They are molded only from the hips upward, so as to later pose them in open hatches of a tank. They are all wearing the Gimnastika pull over shirt. I got this set willed to me along with many other VLS sets by a fellow modeler who died of cancer years ago. ​I am willing to sell this set of figures for the right price + postage.